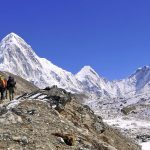 Welcome to an ancient Himalayan Country that offers a fascinating culture, incredible scenery, very warm and friendly people, great trekking opportunities, and a whole lot more. 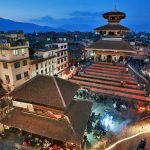 With the exception of congested Kathmandu, Nepal have charming, laid back cities and towns, along with picturesque wildlife parks that are home to many endangered species. The unfortunate picture (of the effects of the 2015 earthquake) painted by the media, like much of what they do, is severely exaggerated. For example, the three ancient temples, all UNESCO World Heritage sites, in Kathmandu received very little, or no, damage. The three Durbar Square’s (all of which are also UNESCO World Heritage Sites) in the queen cities of the Kathmandu Valley did receive fairly heavy damage, but most of their monuments are still standing and still provide wonderful insights into the local culture. Kathmandu – Chitwan National Park (Approx. 159 Kms / 6 hrs drive) Proceed to Chitwan National Park. Arrive and check into the hotel. The rest of the day is at leisure. Later in the evening visit Elephant Breeding Centre, or part of one of the programs arranged by the lodge. Evening enjoy a local Tharu Cultural Dance Show. Overnight at the hotel in Chitwan. Chitwan National Park is a large and beautiful nature reserve occupying 932 sq. km. of land inhabitant of endangered royal Bengal tiger and the one-horned Indian rhino. Chitwan National Park was protected since the 19th century as a hunting reserve for Nepali royals and foreign aristocrats. There are more than 50 species of mammals in Chitwan including monkeys, tigers, leopards, sloth bears, wild boar, hyenas, deer, elephants and rhinos. There are also 450 different species of birds and 67 species of butterflies. The main attraction of Chitwan is the Elephant Safari. It is a unique experience to explore the jungle on the back of a trained elephant. While you are not likely to see the Bengal tiger, you should be able to see the Indian rhino and enjoy one of the nicest nature reserves of the Indian sub-continent. This morning experience an exciting safari at the jungle in southern Nepal, where we ride on elephant back in search of one horned rhino and many other wild animals. Later in the afternoon you will take a canoe ride along Rapti River. This is an excellent opportunity for bird watching and you might even see two rare species of crocodile: the Marsh Mugger and the Gharial Crocodile. On arrival at Lumbini, proceed for a half day sightseeing tour of Lumbini, the birthplace of Gautam Buddha. Lumbini is the place where Queen Maya Devi gave birth to Siddhartha Gautama in 563 BCE. Siddhartha Gautama, who achieved Enlightenment sometime around 528 BCE, became Lord Gautama Buddha and founded Buddhism. Lumbini is one of many magnets for pilgrimage that sprang up in places pivotal to the life of Gautama Buddha. Listed in the World Heritage Site status by UNESCO in 1997, Lumbini has a number of temples, including the Maya Devi Temple and several others. Many monuments, monasteries and a museum- the Lumbini International Research Institute, are also within the holy site. There is the Puskarini, or the Holy Pond, where Buddha’s mother took the ritual dip prior to his birth and where he had his first bath. At other sites near Lumbini, earlier Buddhas were, according to tradition, born, then achieved ultimate Enlightenment and finally relinquished their earthly forms. Among the pilgrims in the ancient times was the Indian emperor Ashoka, who erected one of his commemorative pillars there. The site is now being developed as a Buddhist pilgrimage centre, where the archaeological remains associated with the birth of the Lord Buddha form a central feature. Lumbini is one of the holiest places of one of the world’s great religions, and its remains contain important evidence about the nature of Buddhist pilgrimage centers from as early as the 3rd century BC. Ashoka Pillar: built in the year 259BC, this pillar was built by King Ashok, who was Buddhist. When he constructed this pillar, the King exempted the villagers from paying tax and gave out 100 golden coins to the people. In the seventh century, the pillar was struck by lightning and split into two parts. The site was lost for six centuries and covered with dense forest before being re found in 1895. The place was cleared and the pillar reconstructed. Maya Devi Temple: This temple is supposed to be dedicated to Maya Devi, who is Buddha’s mother, which seems natural as Lumbini in famed as the birth place of Buddha. The temple was built during the 2nd century. Next to the temple there is a pool where Maya Devi used to bathe, now days the Japanese Buddhist Federations is re constructing new temple at this site. The Crane Sanctuary: a sanctuary is being built for the protection and breeding of endangered cranes in this area. It’s an interesting place to visit. The Sacred garden: is the beautiful area around the Asoka pillar where you can spend time in peace relaxing and wondering around. Monasteries: many countries have built monasteries in this area, it’s possible to walk around and visit them as you like. Early morning, you will be driven to Sarangkot for a sunrise tour. 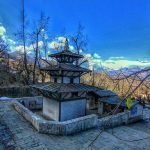 Sarangkot is the small hilltop which is famous for its breath taking view of sunrise and Annapurna range and Fishtail (Virgin Mountain). 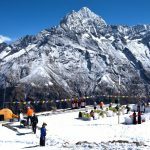 From here, you can see a panoramic sweep of Himalayan peaks, from Dhaulagiri (8167m) in the west to the perfect pyramid that is Machhapuchhare (6997m) and the rounded peak of Annapurna II (7937m) in the east. Most people come here at dawn or dusk, when the sun picks out the peaks in brilliant colors. Pokhara–Kathmandu(Approx. 200Kms / 7hrs drive). Arrive Kathmandu and check into the hotel. The rest of the day is at leisure. Today morning, you will visit Pashupatinath Temple, the most sacred of Hindu Temples. Depending on your departure flight schedule, you will be transferred to Kathmandu airport to board your flight back home.